Arm technique utilizes the structure of body. It is practised with the theory of midline and angle, direction and turn with apply force. It demands to exert some boxing techniques of softness overcomes hardness, attacking and defense, applying and destroy force, or counter-attacking. Foot technique is a kind of defense and attacking skill with using soles. It defends the opponent attacks with feet, and counter-attacks with tiger-tail foot after dodging him. It practises lower-section technique, speed of spring out feet, position of apply force, measure, nicety degree of force point and other trainings. Elbow and knee technique routines manage waist and horse stance to exert power of knee and elbow, and combines with foot technique and feet technique. 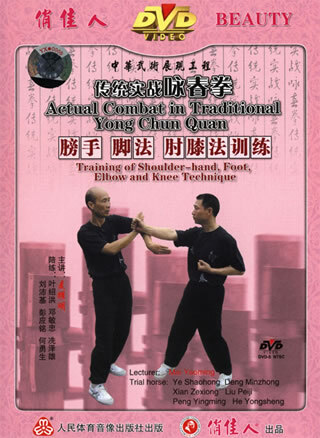 Elbow and knee techniques can take final effect in combat after it manages proficiently.